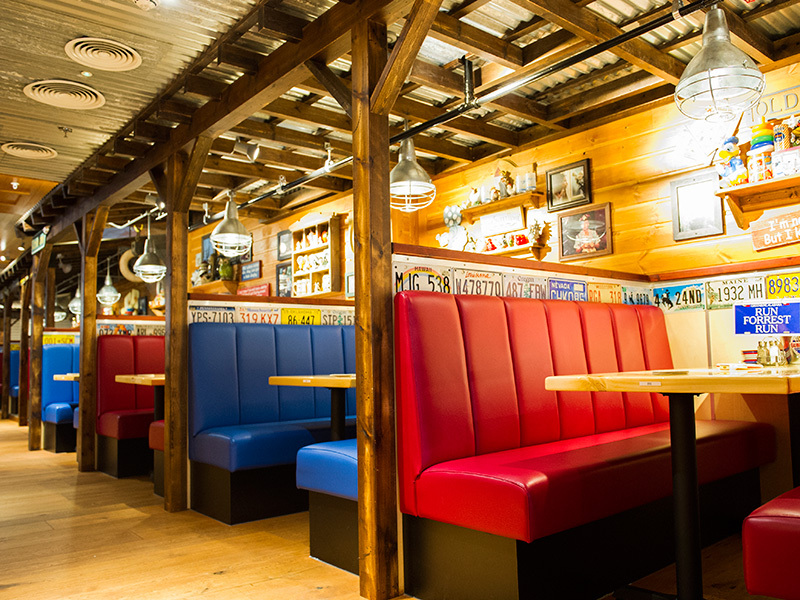 DarntonB3 have provided architectural support for the fit-out of the first European Bubba Gump restaurant, located within the Trocadero Centre in central London. Prior to the commencement of works we also provided contractor PEC with a measured building survey, developing existing drawings as a result. This was followed by the design of a the staircase and internal elevations of ground floor reception areas, first floor restaurant, offices, staff and customer facilities. Assistance was provided with planning matters for the new shop front and signage. The restaurant opened in October and provides a fantastic new facility in this busy and bustling part of the capital.